The Rolling Stones Set To Perform A Free Show In Brazil! ROLLING STONES - "A BIGGER BANG"
Tuesday, December 13 -- The Rolling Stones announced today that they will bring the "A Bigger Bang" World Tour to Brazil on February 18th. Brazilian fans will now have the opportunity to experience the excitement felt by sold-out crowds throughout the tour when the Stones play at the Copacabana Beach. This will mark the third time that the Stones have performed in Brazil, but it will be the first time they hold a free concert. After their stop in Brazil, The Rolling Stones, and their "A Bigger Bang" World Tour, will continue to thrill audiences throughout Mexico and South America with electrifying performances that include their classic hits and songs from their critically acclaimed new release, "A Bigger Bang." 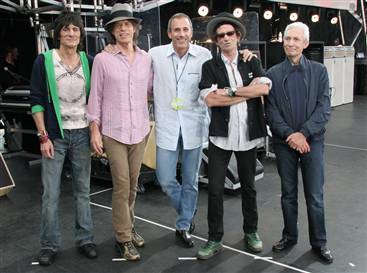 To organize the show at the Copacabana Beach, the Stones will gather a crew of nearly 1,500. The show's main stage, to be located in front of the Copacabana Palace Hotel, will be 22 meters high and 57 meters wide. In addition to the main stage, the Rio concert will also feature the Rolling Stones' famous "B" stage, which can extend 55 meters into the audience. Sixteen sound and image towers (with high definition big screens) will also be constructed and spread along the seashore as far back as the Meridien Hotel. LOS ANGELES -- Powerhouse tours by the Rolling Stones, U2 and Paul McCartney helped drive concert ticket revenues in North America to a record $3.1 billion in 2005, even as the number of tickets sold declined for the third year in row. Fans purchased 36.1 million tickets to the top 100 concert tours, compared with 37.6 million in 2004 and 38.7 million in 2003, according to Pollstar, the industry trade magazine. "You have to figure that's not a healthy sign for the industry overall," said Gary Bongiovanni, Pollstar's editor-in-chief. Despite a slow first-half of the year and the decline in tickets sold, concert tours in 2005 amounted to a 10.7 percent increase in gross receipts over last year's total of $2.8 billion. The record revenue was due largely to the rare confluence of superstar artists touring. "You don't normally see three huge acts like that out touring in the same year," Bongiovanni said. "McCartney and The Stones alone really helped drive up ticket prices." The average ticket price for the top 100 tours rose to a record $57, compared with $52.39 in 2004, Pollstar said. The average ticket price has gone up nearly $7 since 2003. Still, concertgoers proved this year that they remained willing to pay more to see their favorite acts, and the roster of legends that filled touring arenas had little trouble packing them in. Until this year, the biggest tour of all time had been The Rolling Stones' 1994 outing, which drew $121.2 million in gross receipts, Bongiovanni said. "Both U2 and The Stones went way beyond that this year," he said. The Rolling Stones' "A Bigger Bang" tour led all other concert tours in 2005 with $162 million in gross receipts, according to the magazine. The average Stones ticket was $133.98. The tour sold around 1.2 million tickets. U2 generated the second most gross receipts, $138.9 million, with an average ticket price of $96.92. 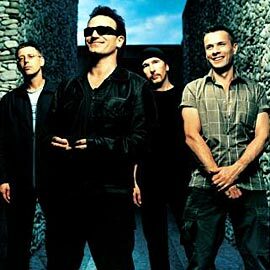 The Irish rockers' "Vertigo 2005" tour sold the most tickets, around 1.4 million. McCartney's tour earned $77.3 million in gross receipts, with the average ticket selling for $135.46. The tour sold around 570,000 tickets. Other veteran acts who ended the year among the top 20 in sales receipts included the Eagles, Elton John, Neil Diamond, Bruce Springsteen, Tom Petty & the Heartbreakers, Motley Crue and Jimmy Buffett. Green Day, Rascal Flatts, Dave Matthews Band, Toby Keith, Kenny Chesney, Coldplay, Gwen Stefani and the Anger Management Tour were among the contemporary acts to break into the top 20 biggest earners. Celine Dion and Barry Manilow, who performed mostly in Las Vegas, also were top draws in 2005. The Canadian diva's shows pulled in $81.3 million in total gross receipts, the third highest. Manilow's shows drew $22.7 million in gross receipts. "The baby boomers really continue to support and fuel the concert business," Bongiovanni said. If 2004 was the year pop got political, in 2005, pop stars showed their giving spirit. The hastily assembled Live 8 concerts were proof of Bob Geldof's indomitable will and the music industry's ability to mobilize for a good cause. Ten concerts, an estimated three billion viewers. Live 8 was a success in terms of raising awareness of African poverty and putting the issue on the table at the subsequent G8 summit in Gleneagles, Scotland. Whether all the singing and finger--wagging will make a significant difference in the lives of destitute Africans now lies with the politicians. Was 2005 good to Bono? Hmmm, let's see: His band, U2, tallies the 2005's top-grossing stadium tour ($260 million). The rocker-slash-activist earns partial credit for his work in organizing Live 8, shares Time's Persons of the Year award (with Bill Gates and his wife, Melinda), scores Q magazine's Man of the Year and is the subject of a fulsome cover story in the New York Times Magazine. Yes, he's everywhere: yes, those sunglasses look ridiculous. But can you name another private citizen who has donated as much of his energy to eliminating human suffering? The Hurricane Katrina relief effort was likely the second biggest cause of musical solidarity in 2005. But amid the feelings of sadness and good will, rapper Kanye West could not hide his anger at the disparities between blacks and whites in New Orleans. During the NBC telethon on Sept. 2, Kanye deviated from the scripted platitudes to express his outrage with the coverage of the disaster and the government's lackadaisical response. "I hate the way they portray us in the media. You see a black family, it says, 'They're looting.' You see a white family, it says, 'They're looking for food.'" Unprepared for this harangue, NBC was unable to censor Kanye's crowning blow: "George Bush doesn't care about black people!" In what is becoming an annual ritual, the music industry reported another plunge in album sales; according to Nielsen SoundScan, sales were down more than seven per cent from 2004. Industry watchers don't agree on the reason. Is it downloading (legal or otherwise), the rise of CD burning or mounting competition from DVDs and videogames for consumer dollars? Or is it that there aren't as many massive releases? My prediction: the industry will still be wrestling with the question this time next year. Admit it: before 2005, you wrote Mariah Carey off as a past-her-prime pop diva. Short of expunging her film Glitter from our collective memory, you figured there was no way she could ever be relevant again. Well, Mariah made proved us wrong. The Emancipation of Mimi, her 10th album, sold seven million copies worldwide, her single We Belong Together reigned supreme on the Billboard Hot 100 for 14 weeks and she scored a throng of Grammy nominations. In related news, "Rebirth," J-Lo's attempt at career rejuvenation, flopped magnificently. If Kanye flirted with news headlines in 2005, fellow rapper 50 Cent practically dictated them. In March, Fiddy released his sophomore album, The Massacre. In April, he became the first artist since the Beatles to have four songs in the U.S. Top 10. In early November, he starred in Get Rich or Die Tryin' -- a thinly disguised autobio directed by Jim Sheridan. Later that month, a Toronto MP attempted to have the contentious rapper barred from entering Canada, saying 50 Cent's music fetishized the sort of gun violence that has plagued Toronto in 2005. And that sound in the background? Cash registers ringing up The Massacre. In 2001, Neil Diamond was such a kitsch icon that he lampooned himself in the frat comedy Saving Silverman. Who could have predicted he would have enough mojo left to release another album -- much less one of the best-reviewed discs of 2005? Ruminative, heartfelt and 100 per cent kitsch-free, 12 Songs is utterly compelling. Much of the credit goes to producer Rick Rubin. As he did with Johnny Cash's waning career in the 1990s, Rubin saw through the layers of parody to pinpoint the honest songcraft that made the man great in the first place. If you’re looking for another Cracklin' Rosie or Kentucky Woman, you won't find it; what you will find is a great American songwriter, his skills undiminished. Another year, another spate of passings. Deaths in 2005 included: guitar god Link Wray; R&B smoothie Luther Vandross ; Ibrahim Ferrer, revered Cuban singer and the wizened face of the Buena Vista Social Club; legendary singer and piano maven Shirley Horn; guitarist Clarence "Gatemouth" Brown, a Texas original whose distinctive sound was a searing blend of bluegrass, jazz, Cajun, country and calypso; and jazz great Jimmy Smith, arguably the most famous emissary of the Hammond organ. If a band can over saturate the market, the Black Eyed Peas have done it. In 2005, the California quartet --once a hip-hop outfit, now the worst kind of mongrel pop act -- was everywhere, demonstrating a willingness to appear anywhere, with anyone, for any cause, any time. While that included a fair bit of altruism (e.g. Live 8, an Amnesty International charity album), the Peas were far too voracious to let it end there: award shows, free concerts sponsored by Honda, the Super Bowl, the Grey Cup -- plus the threat of opening the 2006 World Cup of soccer in Germany. To ensure we would be talking about them through the holidays, in November, the BEP's released My Humps, a strong contender for Most Nauseating Single Ever. 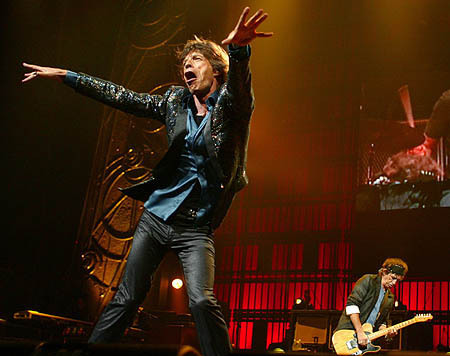 According to IORR, the list of opening acts for the Stones shows in USA & Canada 2006 have been confirmed by the Stones, including acts such as Brooks and Dunn, Merle Haggard, Anik Jean, Sloan, Metric, Antigone Rising, Soulive, Queens of the Stone Age & The Meters. You can get tickets at Stones Tickets Exchange for shows. 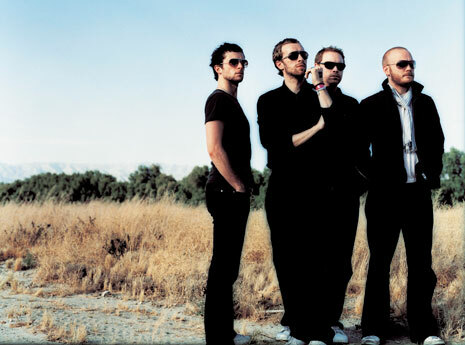 Coldplay have revealed they are disappointed with only releasing three albums. The band have said that compared with The Beatles' work rate, they are a lot slower and are starting to panic. "We just love being creative," bassist Guy Berryman said. "When we're out on the road, it's amazing to play live but we're really missing what we do best, which is creating. We've been together for almost ten years now and we've only made three albums." Speaking to BBC 6 Music, he added: "When you look at people like The Beatles who knocked out a couple a year, it sort of makes us start to panic a little bit. So we're just desperate to get back into the studio." Before King Kong's release, many were picking "Brokeback Mountain" as the possible winner of the Oscar "Best Picture" race as we approach the March 5th Academy Awards. But now, there's a view that Brokeback may go the way of "Sideways" -- much talked about, but not the winner. 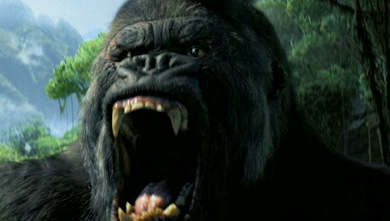 If Peter Jackson's everyone's selection for Best Director, then Academy history backs the selection of King Kong as best picture. If that happens, it will be the first film in 30 years not to receive a Golden Globe nod, yet win Best Picture. The website The Envelope.com has a pole reporting that King Kong was the most neglected film in the Globes. 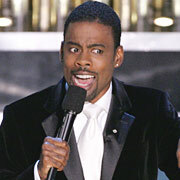 LOS ANGELES, California (AP) -- Chris Rock won't be back cracking wise as the host of next year's Oscars telecast. "He is not hosting the Academy Awards," the comedian's publicist, Matt Labov, said Friday in a brief statement e-mailed to The Associated Press. He did not elaborate. Labov told The New York Times that Rock didn't want to do the show "in perpetuity" but would "like to do it again down the road." The 2005 telecast was Rock's first as host. He drew younger viewers, but his barbs skewering stars like Jude Law, Tobey Maguire and others alienated some members of the Academy of Motion Picture Arts and Sciences. In one bit, Rock suggested filmmakers should wait for better talent instead of rushing bad movies into theaters. "You want Tom Cruise and all you can get is Jude Law. Wait," Rock joked. "You want Russell Crowe and all you can get is Colin Farrell? Wait. 'Alexander' is not 'Gladiator.' "
He also poked fun at himself. "You want Denzel (Washington) and all you can get is me? Wait," he joked. Rock's comments prompted Sean Penn, when he took the stage later, to defend Law as "one of our finest actors." Rock is currently producing and narrating "Everybody Hates Chris," a sitcom on UPN based on his life. A spokesman for the Academy declined to comment about the hosting duties. Longtime Academy Awards producer Gil Cates is expected to announce his selection in the next few weeks. Frequently mentioned candidates include four-time host Whoopi Goldberg, two-time host Steve Martin and late-night hosts Jay Leno and Conan O'Brien. The 78th annual Academy Awards will air March 5 on ABC from Hollywood. "It's a great night tonight. We have four black nominees. tonight. It's kinda like Def Oscar Jam tonight." "Black movies don't have real names, they have names like Barbershop. That's not a name, that's just a location." "Our next presenter is the first woman to ever breast-feed an Apple - Gwyneth Paltrow." "The only acting you ever see at the Oscars is when people act like they're not mad they lost. Nicole Kidman was smiling so wide (the year Halle Berry beat her to best actress), she should have won an Emmy at the Oscars for her great performance. I was like, 'If you'd done that in the movie, you'd have won an Oscar, girl!'" "You want Denzel and all you can get is me...wait. Denzel's a fine actor. He woulda never made Pootie Tang. Clint Eastwood's a star, OK? Tobey Maguire's just a boy in tights. You want Tom Cruise and all you can get is Jude Law? Wait! You want Russell Crowe and all you can get is Colin Farrell, wait! Alexander is not Gladiator."